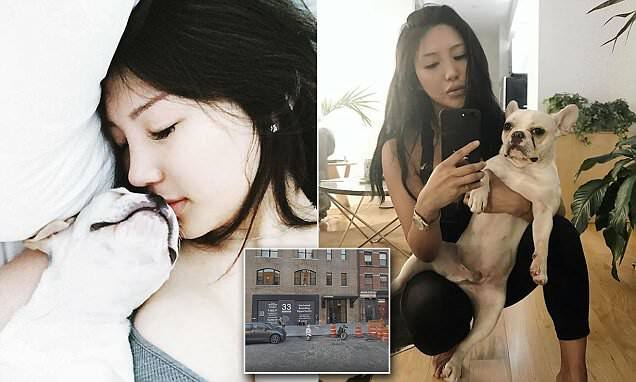 A popular fashion blogger has a bone to pick with NYC's Soho House after she was allegedly barred from bringing her emotional support dog to the facility. Hyun Jae Jung, also known as Miju Bijou, claims the exclusive club kicked her out and revoked her membership after she showed up to eat with her French bulldog, Pizza Giovannino, on May 20. Bijou states that she has a disability recognized by a licensed psychiatrist and is authorized by a licensed doctor to use Pizza for support and companionship. The filing states that emotional support animals 'do not require specialized training. However, they do require a therapist letter in order to be considered valid' - which she had. Bijou arrived at the posh club to eat with Pizza around 8pm when she was confronted by Soho House employee Karen Pinckney-Sanchez, court papers state.